The 1000 Series Brass are free blowing, well balanced and comfortable for the young player, whilst giving a full sound with good intonation and easy response. Made to the highest standards by skilled craftsmen at the superb modern facilities in India, the 1000 series benefits from a blend of superior quality materials and technical expertise. 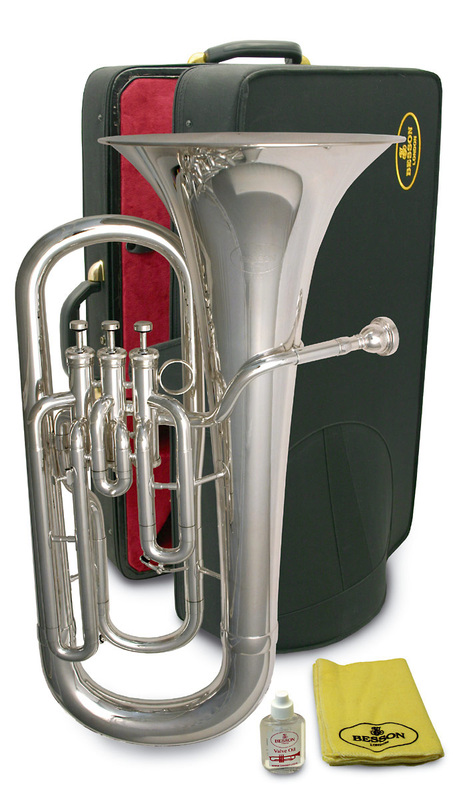 The Besson 1000 Series euphoniums provide an excellent start to the careers of aspiring euphonium players. Both models are free blowing with an easy of tone production and even response throughout the register. They have a rich, warm, centred tone and a reliable, fast and quiet valve action. Coupled with a comfortable playing position for both embouchure and fingers, the BE1062 euphoniums provide a classic sound even in the hands of the less experienced player. Now supplied with case and a Denis Wick no.6 mouthpiece.